The Journal of Floriculture and Landscaping is a peer-reviewed, open access journal that publishes quality articles in different fields of Floriculture and Landscaping including indoor plants. The journal welcomes the submission of original manuscripts (Please see Plagiarism Policy) that meet the general criteria of significance and scientific excellence. 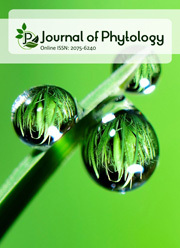 Journal of Floriculture and Landscaping has been aquired by TathQeef Scientific Publishing, United Arab Emirates since 2018 from Scienceflora Publishers Pvt Ltd., and Update Publishing, India.